Blogs | Future Star Software Inc. I have been using TS Man for three years for my business. At times I was wondering if there was a way to make it better, because it is lacking so many tools that a computer technician or a manager might need, that working with it became frustrating at times. 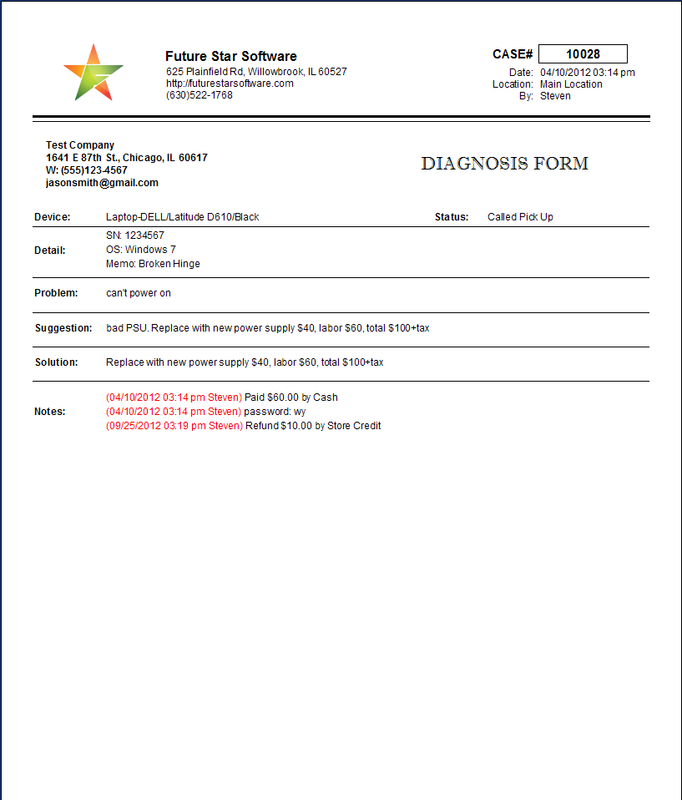 Check Out New Feature "Diagnosis Form"
We have added a new feature called "diagnosis form" for internal use, see screenshot below. To be honest, I don't like this feature personally, our goal is to eliminate paper notes in repair process. However, some users just get used to papers. This feature is optional, it won't print out by default. Some users called "Check-In" form and collect signature on this form. We're now officialy supporting Canada, United Kingdom and Australia Customers. We just added suppor for coutries outside United States, includes Canada, United Kingdom and Australia. If your country is not in this list, please let us know, we'll be happy to work with you to add support to your country. English speaking only. We have redesigned the attendance module to allow multiple clock in/out. We also added a management interface to let you confirm the hours for each employee. Once all the hours have been confirmed, the system will generate a report to show you total hours for each employee, which could be used for payroll or other anlysis. We have added support for tracking outsourced jobs. If you oursource your repair jobs to your contractors, this feature will help you track the whole process. If you want to know more about this feature, please emails us at support@futurestarsoftware.com for detail. In MaNova, we support assembly items. It's for customized products, or you have broken but fixable device, which you need take parts from your inventory to fix it for resale. Sales Channel is for retail stores or wholesalers to track their sales outside their location, for example, through ebay, amazon, sears etc. In MaNova, we provide support to track the status of the transactions through sales channels, like shipping status. You could import records through CSV file. Once you have all the data in MaNova, you could see all your sales number in one place. 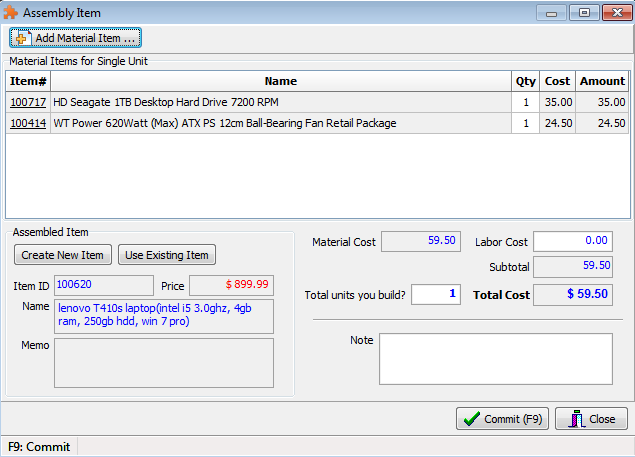 MaNova will also help you manage the inventory automatically by mapping the item through upc code or other keywords. We have had many discussions here at Future Star Software and have found the reading of Michael E. Gerber an interesting topic of dicussion and we would like to share some our readings and see what you think. Below is a title summary from Summaries.com about the book "The E-Myth Revisited". I found this article on the Internet as I was looking at Retail Technology magazine... I thought it was interesting. See for yourself. today’s technology in new ways.